Can you believe its all over already? So many theories, so little time. 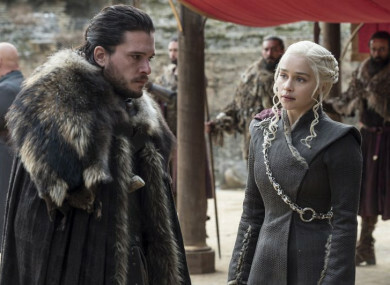 Seven episodes and a million battles later, ‘The Dragon And The Wolf’ closes out the season in clash of fire and ice. No spoilers, please. Michael Douglas and Matt Damon star in this biopic about the final years of Liberace and his secretive relationship with Scott Thorson, wherein he lives a life of luxury and becomes more and more cut off from reality. Michael Douglas won a Golden Globe for this, so it’s defo worth a watch. In this edition of the arts documentary, Alan Yentob meets the 77-year-old author of The Handmaid’s Tale in Toronto to discover how a childhood spent between the wilderness and the city helped shape her vision of herself and the world. It's finally here – Channel 4's epic reboot of the BBC fave. And it looks … pretty much the same. Prue Leith replaces Mary Berry, Sandi Toksvig and Noel Fielding have taken over from Mel & Sue. But other than that, all the familiar elements – tents, aprons, Paul Hollywood – are present and correct. Will it be as good? Only one way to find out - watch it tomorrow! Diana, 7 Days (RTE One, 9.35pm) Another chance to see this documentary looking at the week following the princess' death. Superfoods: The Real Story (Channel 4, 8.30pm) What are those crafty carrots hiding from us?! Sherlock Holmes (RTE Two, 9.00pm) The movie with Robert Downey Jr., not the show with Benedict Cumberbatch and co.
Wallace & Gromit: A Close Shave (BBC One, 7.30pm) Just because it NEVER gets olds.